We pride ourselves in ordering produce from the best organic farms we can find. Most of our farms are family-owned. It is very important to know where our food comes from, so we invite you to meet some of our farmers. 'Bow Hill Blueberries is a small farm run by a small family with a huge commitment to growing and preserving heirloom blueberries organically. We're passionate about taste and health. 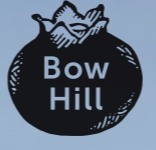 At Bow Hill, we hand-harvest and craft all our products on the farm. 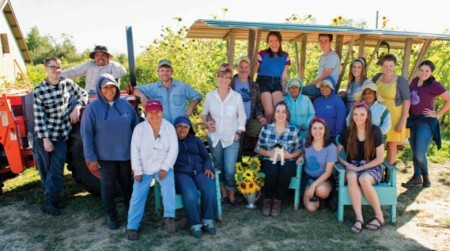 Our fields are a safe place for our community to eat fresh blueberries right off the bush, and our farm is a healthy and just work environment for everyone. 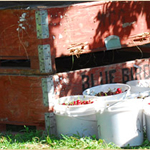 Bow Hill is the oldest blueberry farm in Skagit Valley, Washington. Our heirloom varieties are the first blueberries to be brought in from the wild and planted in rows to be farmed. Small in size with thick, antioxidant-rich skin, these berries are the essential ingredient in our award-winning Organic Heirloom Pickled Blueberries, Organic Heirloom Cold Pressed Juice, and nutrient-packed Organic Heirloom Blueberry Powder. Earth Conscious Organics sells the apples from Paul Madden's orchard, but they also sell apples, pears, cherries and summer stone fruits from other neighboring small farms. New Roots has been buying apples from ECO since 1999. Paul Madden Orchards has been in Paul's family for 99 years - 4 generations of family.His 40 acre farm is on the banks of the upper Columbia River innorth central Washington near the town of Brewster. Paul organically grows eight varieties of apples and two varieties of cherries in his orchard. The orchard has been organic since 1990 and before that, Paul's father practiced both IPM (Integrated Pest Management) and Low Impact pesticide use (minimal, low concentration spray). Around the turn of the century Paul's great grandfather, H.L.Martin was offered his own orchard by the Everett Orchard Company if he would travel across the treacherous North Cascade Mountains and plant ten different orchards in the Methow valley. The orchards were a success and the Martins raised their family in Winthrop Washington. Their son-in-law George Madden helped in the orchards but soon expanded his enterprise to include a blacksmith shop. George's son Blaine (Paul's dad) became a farmer and also had his own orchard in Winthrop. Paul's great grandfather Newt Williams ran the stagecoach and mail route up and down the Methow valley. Newt's daughter Gertrude, married Lee Cooper and they planted orchards near Brewster Washington where Paul continues the farming tradition. Many people ask Paul why he was interested in developing an organic orchard. His simple response, 'To keep myself and my family safe from dangerous concentrations of chemical pesticides and fertilizers'. After a few years, I came to love and passionately embrace this style of farming. Soon, other small family farmers who embraced the ECO philosophy joined the venture. What do they grow? Apples, Cherries, Pears, and more! We are a fourth generation family farm based in Oregon's beautiful Willamette Valley just outside of lively Portland, Oregon. Our produce is grown with great care to guarantee that each crop is of premium flavor and quality. All of our products are grown using sustainable farming practices which not only benefits our health but also our environment. Farming has been the Siri way of life for many years. We feel that maintaining the connection between consumer and farmer and supporting organic, local, sustainable farms is our best defense for food security. Among the houses of North Alabany is a 25-acre oasis of herbs and vegetables called Spring Hill Farm, owned by Jamie Kitzrow and Lisa Schwartz. They've been providing the Northwest with a multitude of delicious produce since 1989. They grow over 45 different types of crops, specializing in greens. What do they grow? 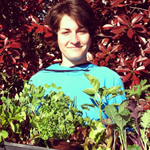 Over 45 different types of crops, specializing in greens- Spinach, Collards, Kale, Chard, Parsley, Peppers and Dandelions. Groundwork Organics is a family farm located on some of the best farmland in Oregon along the Willamette River consisting of silt/sandy loam soils up to ten feet deep! Their farm is 140 certified organic acres just north of Eugene, Oregon along the Willamette River. 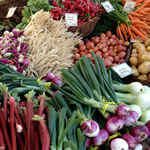 This is their twelfth season growing a wide variety of specialty fruits and vegetables. 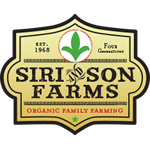 Our farm is wonderfully located just 40 miles northeast of Seattle in the small town of Startup. Brent’s family has farmed in Startup since 1900 and we are the 3(our kids are the 4 Brent uses his biology degree (Go Cougs!) and experience growing up on the farm to manage and direct things. Cindy, as a former teacher with a math degree (Go Cougs!) 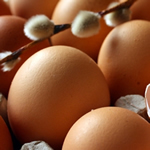 is the “egg counter” and educator. Our oldest, David, is raising and butchering beyond organic broiler chickens this summer before returning to studies at Western this fall. We view the farming of our land as a blessing, a great privilege, and an even greater responsibility. We are dedicated to sustainable, ecologically-sound farming practices and view grass farming as the foundation on which all our products are built. Nutritionists continue to extol the increased health benefits of products truly raised on fresh pasture. Our goal is to be good stewards of our acreage and animals and to share the healthy bounty of our farm with others. What do they grow? Eggs!! 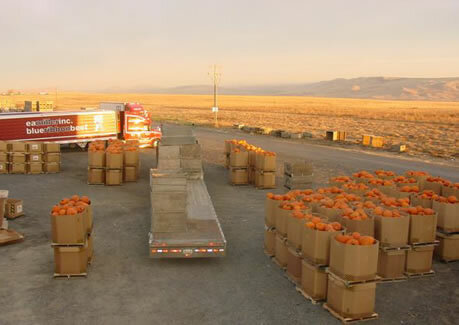 What started out as a small, local sideline business in 1980 for Pat Fewel and his son Scott has turned into one of the largest produce shippers in the United States. For the past 20 years the Fewels have specialized in Fall crops, including pumpkins, gourds, mini pumpkins and Indian corn. More recently they have begun growing chili peppers, personal size watermelons and green, red and yellow bell peppers. 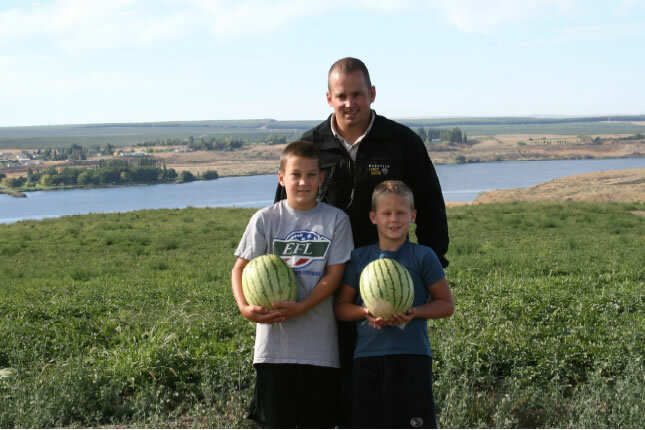 The success of Washington State's own Fewel Farms has been reinforced many-fold as they have supplied nearly every major customer throughout the U.S. and Canada. Their success has helped bring recognition to our wonderful Yakima Valley, where grows some of the finest produce found anywhere in the world. 2007 is an exciting time at Fewel Farms because Scott's son Jarod has returned to the farm and will represent the third generation at the farm level! The timing is great because Pat has now retired. The family feels that they are well-positioned to continue to grow as their customer base grows and, equally important, they see themselves as ready to take part in the returning support of the national companies that are trending toward more local and regional farms for their produce procurement needs! As in 'close to home'! 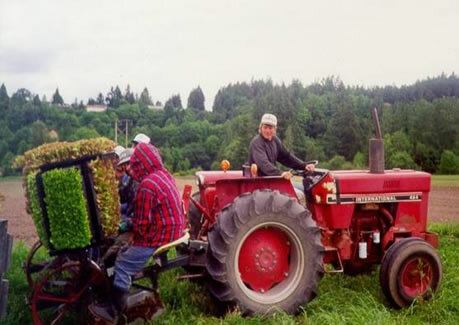 Kamiak Vineyards Inc., formerly Gordon Brothers Inc. was established in 1980 by Jeff Gordon with a focus on high quality fresh market fruit production. Kamiak Vineyards became organically certified in 1998 and is currently producing organic melons, sweet corn, sweet cherries, potatoes, and wine grapes. The business is 100% family owned and operated. In 2001, Jeff's daughter and son-in-law, Katie and Marc Nelson, joined the family business. Marc manages the vineyard along with the organic cherries, potatoes, melons, and sweet corn. Born and raised in a farming family, John Schols is no stranger to the hard work and realities of a farming operation. His forty acre Organic farm is located near Olympia in the Nisqually River Valley of Washington State. The Schols' Organic Farm is as picturesque as a color postcard. Medicine Creek meanders through its fields en route to Puget Sound. The black loamy soil paints a dramatic contrast to the deep green foliage of this fertile valley. The antique outbuildings of his family's former dairy are impeccably maintained and now house modern cooling and packing facilities. Everything here is in its place and the vegetable rows are as straight as an arrow. John takes pride in the fact that his farm is well-known for its superior Organic leaf products. Douwe bought an 80 year-old dairy near Mt Vernon, Washington in 1972. He decided to grow organically because he believes strongly in the reasons for doing so, and it also made sense because he could make his own compost using the manure from the dairy. Today Douwe and his son Andrew farm 450 organic acres and milk 280 cows in their organic dairy. They emphasize positive grower/worker relationships. Employees are treated as family. 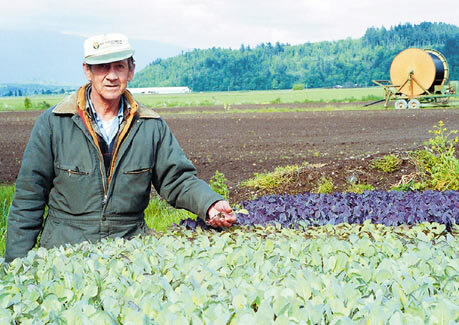 Their farm is in the fertile drainage path of the Skagit River . A key goal of New Roots Organics and the farmers who partner with us is to promote sustainable agriculture by supplying you with the very best tasting organic fruits and vegetables available anywhere. What do they grow? Broccoli, Green and Red Cabbage, Savoy and Nappa Cabbage, Cucumbers, Beets, Chard, Kale, Summer and Winter Squash, Fava Beans, Bok Choy and more!